Ecological Child Rights Curriculum Workshop #1 Coming soon! The Mekong Region is rich in ethnic and cultural diversity, natural resources, watersheds and biodiversity. The Mekong River, or “Mother River”, is much more than just a natural resource. The river is the heart and soul of mainland South-East Asia. For the people whose lives depend on its waters, the river is a way of life, a home for the spirits, a social arena, a place where life unfolds and a source, not only of survival, but also of profound meaning. The river speaks of the past and of the future, of the eternally recurring cycles of nature, of the people living upstream and downstream, of survival, beauty and danger. Each country in the Mekong region concentrates on getting benefits from the Mekong River by building large hydropower projects to produce electricity. As a result, the ecological system has changed. There is not enough water for agriculture. 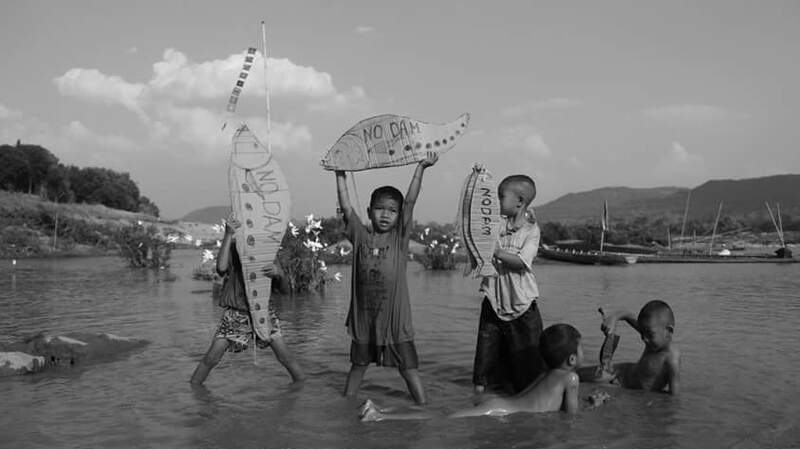 The people around the Mekong River have been the ones to suffer the impacts from these large hydropower systems. Irrespective of their age, they have had to relocate, and many children have suffered the effects of child labor and violence. Some countries fight against the local people to drive them from the project area. So many families have moved to other countries, where they become illegal immigrants. They have no rights, no quality education, no security, and face many conflicts. Situation in Vietnam, government have development project plans for build deep seaport and hydropower plant more than 400 dams. The villagers have no rights to demand and participate in the agreement. The children and their parents get lots of impact from development project. The children had to relocate to new place and they got compensation but not enough. Many children became child laborers. Peoples in Cambodia have to fight with big company from outside countries such as company from Vietnam. The company cooperated with government for land confiscation for do development projects, the villagers have low power and have no choice. They must move to other place under company control. They lose their land, home, job, livelihood, and their family. Many families broke up because they lose income, food security, they can’t feed their family. Many children become street children, low education, low security, bad health and have no future. In Karen state, Myanmar has many development projects which come into the villages; Mining projects, Cement projects, Asia highway and large hydropower projects. All development projects have suffered the effects of child health, education, security life and death. Peoples some parts of Karen state are trying to protect their community but become involved in the war between Myanmar government and the ethnic minority. Laos got peace country awards at the third level in the world. But in the reality, peoples don’t have rights for participating in development project or events discussed about bad things of government. They are living in fear, don’t have freedom rights for demand and shared opinion about all of development projects. Many time, child and youth got exchange opportunities such as in ASEAN Youth Forum but they couldn’t share and mention about development projects in their countries. Development project is a dangerous and sensitive issue, if anyone complains or demands on this topics some bad thing will happen to their life. Especially security, because we had examples such as Mr. Sombath Somphone who has shared Dam information, but after a few day he disappeared since 2012 until now. China is the superpower country in Mekong region, China government and company supported building large development project in countries of Mekong region. In China they still have lots of development project plans, when they build the Dam project peoples had to move to other place, peoples died especially children. Smile country for Thailand under the military control is not different from other countries in Mekong region. Peoples couldn’t do campaign, movement, meeting discussed about the problem of government management, development projects, environment issues and politic. It is the time for low power of population. Thai government and company are building large hydropower system in other countries such as Xayaburi Dam, Laos. Even Thailand had good constitution focus on participating in rights of population but it doesn’t mention about child participation, especially participating on development project. Young people around Mekong region are concerned about child participation on environmental issues. Most of development projects have an impact on the environment, and the children are the first group to have suffered the effects of bad environment. But government and company never ask or keep space for child participation. Young people would like to build child participation on environment but they have a lack of knowledge. The Ecological Child Rights Workshop will develop knowledge skills for young people, continuing to work and build space for children in their own communities. GOAL: To encourage, building capacity and promote the participation of the child focus on Ecological Child Rights and bring about changes in environmental concerns. Workshop Duration: 29-30 August 2015. Ecological Child Rights workshop – ECR in Mekong region guide training course booklet has been published in March 2016.- 20 youths of Mekong region have attended ECR curriculum workshop and be able to share thoughts and fully participate in this curriculum development process in August 2015.- 20 youths of Mekong region understand ECR and can apply it in their communities. – Youth have a chance to learn, exchange experience, and situation about ecological child rights and youth participation rights in each country. – A well-equipped regional youth network is established to lead ECR promotion and protection in the Mekong region.- Ecological Child Rights issues are well-known and well practiced in Mekong region. 6.1 Children and Youth in Mekong Region become the active citizens, enjoy full participation in order to exercise to claim their Ecological Child Rights in development project in Mekong region . 6.2 Civil societies’ and communities’ capacity are enhanced to support ecological children’s rights by strengthening inter-generational networks and collaborations and/or movements add value to the work of their participants on Ecological Child’s Rights especially in development project in Mekong region that effect to their and community’s rights. 6.3 Policies and practices in their community affecting ecological children’s and young people’s rights duty bearers are more accountable for the fulfillment, protection and respect of children’s and young people’s rights. Policies are developed and implemented and the attitudes of duty bearers take into account the best interests and rights of the child.